After a few week hiatus our Sogetsu ikebana class resumed tonight, everyone was eager to get back into our ikebana work. We were given our choice of several materials to work with and asked to choose a lesson based on those materials. 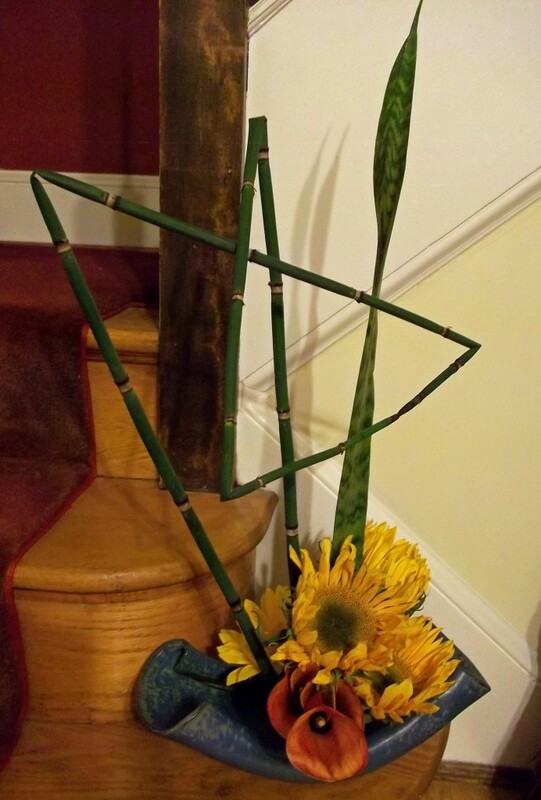 I opted for the sunflowers, sanseveria, equisetum and calla lillies to do mass and line. 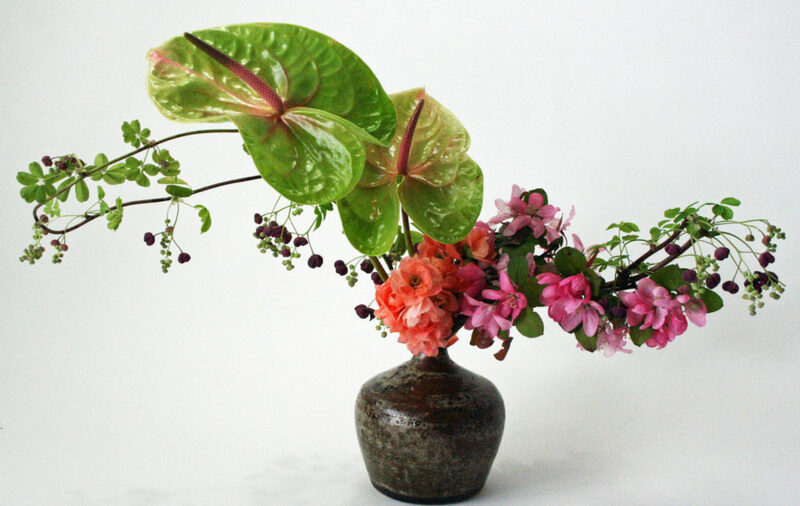 The ikebana was decent, it was difficult to photograph in the space where class was held. I’m used to taking my time to change things and get it just right with a photographic background, but it’s still not bad for some quickly snapped photos. I have to remond myself that I continute to be successful in creating daily, my goal is met each day and that deserves some celebration!